Chemicals are an important part of the photographic process, and after the end of World War I, Kodak founder George Eastman realized he needed a reliable source of supply in order to grow his business. Tennesee Eastman was founded in 1920 in Kingsport, Tennesee, to manufacture organic chemistry and acetone to support the manufacturing plant in Rochester. Over the years, a small fleet of interchange freight cars were acquired to move materials between Tennesee and New York. Eastman Kodak Company #52 is an ICC-103 type single-dome 8,000 gallon tank car, purchased new by Kodak in 1930 from General American Transportation Corporation. It was part of a four car order, EKCX 51 through 54. It had served in interchange service, later kept in captive duty on the Kodak Park Railroad for intra-plant service at Kodak Park. Our EKCX #52 is the only car remaining of the four. Others in the series were scrapped in the late 1990s. In 1993 Eastman Chemical Company was spun off and made independent of Kodak. The car was donated by Kodak to the Museum in 1995. 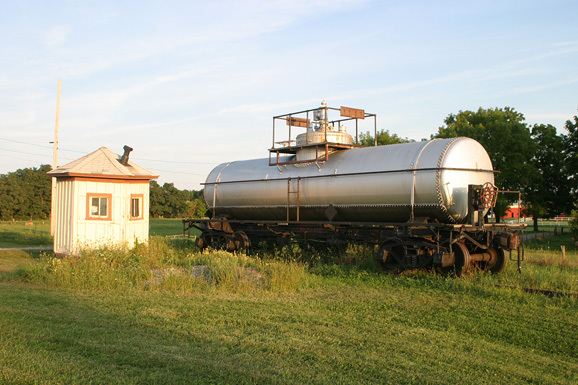 A new coat of silver paint was applied to the tank in 1999, and cosmetic restoration continues on this unique freight car.